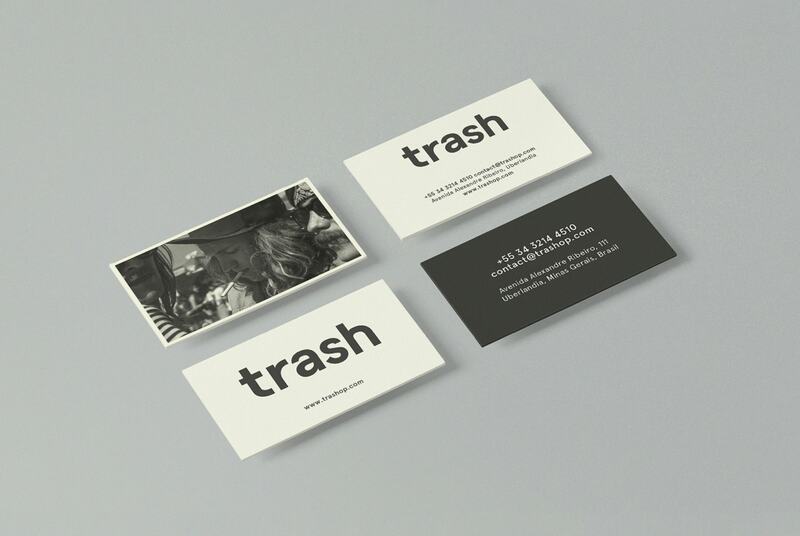 Trash is a menswear shop based in Uberlândia, Minas Gerais, Brazil. 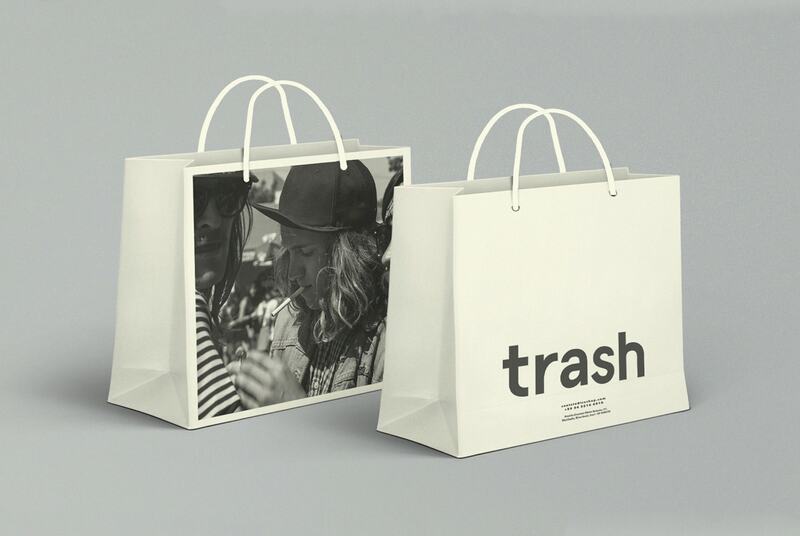 Founded in 2005 by Jafet Antoun, Trash has been providing an outstanding curation of clothes since then. Back in 2005, Jafet was 20 years old and the products sold at the store carried the vibe and aesthetics of those days. This moment was also illustrated in the identity of the brand which was lead by a red triangular typed logo. It was an electro 00’s kind of language that was perfect for that time but now looks a bit dated. The shop itself also got more mature with time, featuring more high end labels but keeping its rebel DNA simultaneously. This led Jafet to look for a re-branding that could represent this new stage of Trash. 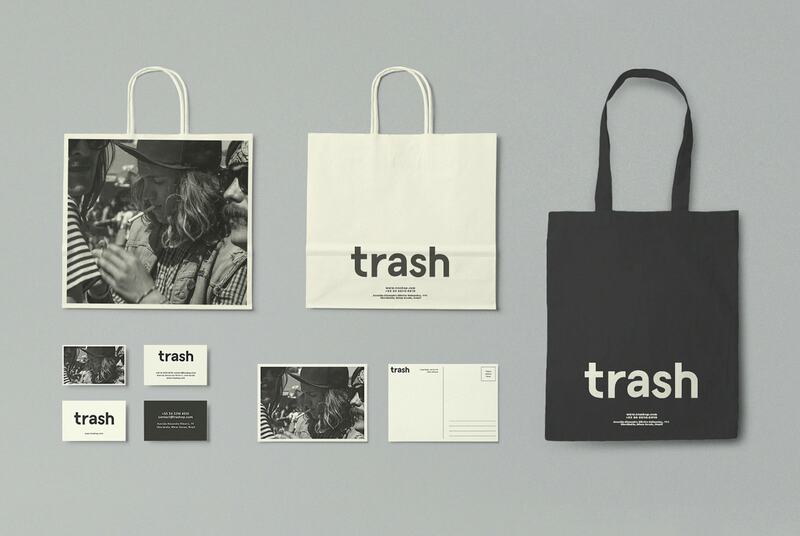 The red triangular typed logo gave place to a black and white lowercase “trash” that is applied also on the lower area of the products. The black and white sans-serif type shows this grown-up sharp phase that the shop finds itself at the moment. 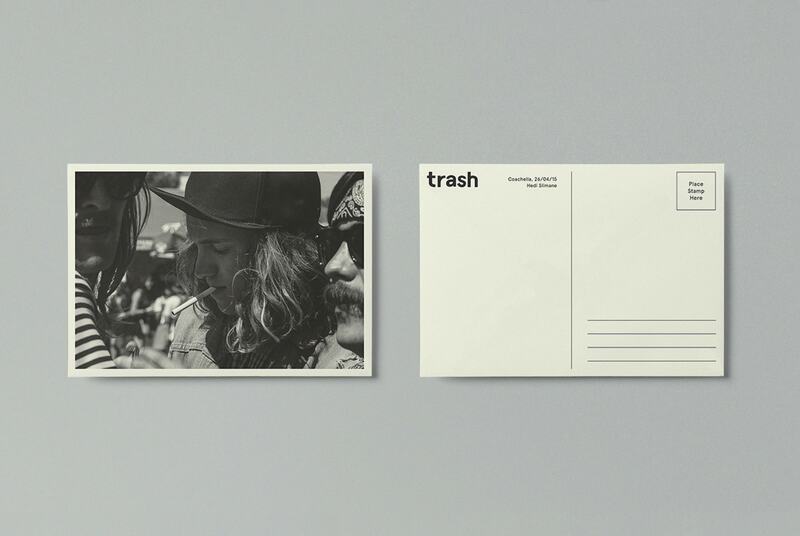 However, there was also a need to maintain the young rebellion ideology which was made by placing an art piece on the back of the gift bag and the postcard that comes as a little bonus to the clients. 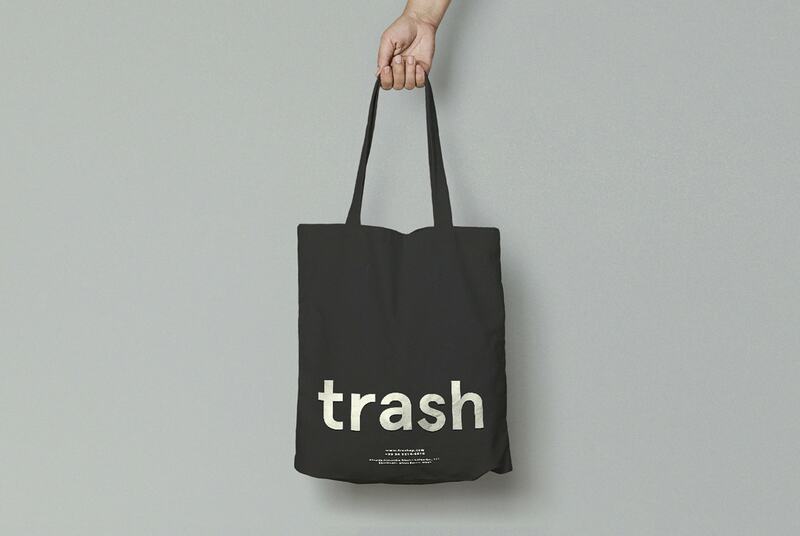 The idea is to have a different art piece of young artists that is somehow connected to Trash on every fashion season.